Everyone loves mystery and as Oscar Wilde rightly states, “The true mystery of the world is visible, not the invisible.” Mysteries that we see with our own eyes are the ones that pump up our heartbeat. What better place than a wide open sea, which holds so many secrets amongst its waves, for a mystery to unfold. We have always looked at a ship as part of the Sea scenario and wouldn’t have given it a second thought. But there are abandoned ships that drift around in the seas and are called as the ‘ghost’ or ‘phantom’ ships. Mystery and fear surround these seafaring abandoned ships and tales about them have passed through the centuries by old sailors and fishermen. These maybe marine legends that lack legitimacy but several of these haunted ships continue to rouse surreal gossips and terrified speculations. When a ship sets sail, it is expected that it will ultimately reach its destination. Yet these out-of-the-ordinary stories reveal that there are definitely ghost ships at sea with no human on board. The one thing in common on all these vessels and the most mysterious of it all is that nothing is amiss on the ships except for the absence of the crew members. 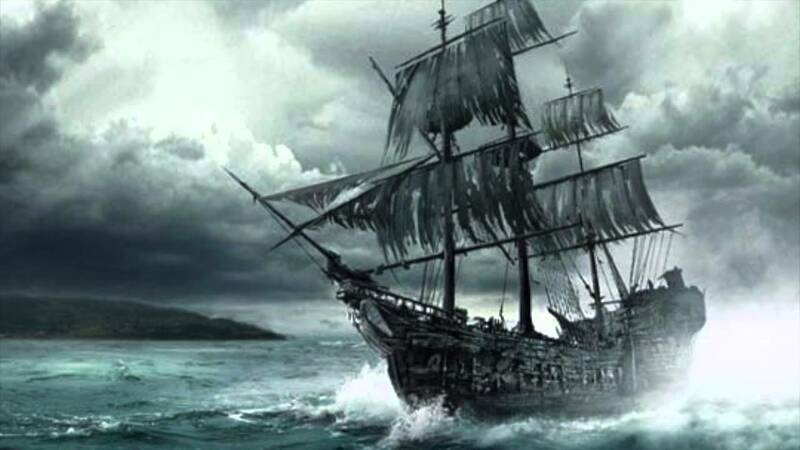 Below are ten such unexplained abandoned ships of the nautical world in the order of creepiness of the story that is bound to make you lose sleep tonight. The Caleuche is a legendary ghost ship that according to local myths and Chilota Legends comes into existence every night and sails the seas in the region of Chiloé Island, Chile. It is said that the craft carries the spirits of the inhabitants who have drowned at sea. On the other hand, the boat stays visible for no more than a few seconds, and then all of a sudden submerges or disappears itself beneath the water. There is also another tale that states that three water ‘spirits’ of Chilota call upon the spirits of the people who have drowned. These water spirits are called the Pincoy, The Pincoya, and The Sirena Chilota. Also, it is believed that these water spirits are said to resemble the form of mermaids. The most baffling part of this ship is that it is outstandingly bright, eerily beautiful and at all times surrounded by the blasting sounds of party music and laughter. In 1947, the ship of Ourang Medan sent out a distress call and this was received by two American ships that were passing in the course of the Strait of Malacca. These American ships went off on the rescue operation after the caller announced to be a part of the crew and conveyed the message that everyone else onboard was dead. Strangely his last words were “I die”. The ship was found ruined and plenty of the onboard crew members including the dog were found dead. But not a single person seemed to be hurt; instead, nearly every one of them had died with outstretched hands, frozen, gaping at the sun, and with looks of utmost horror on their faces. The legend also continues that there was a surviving member who went to the Marshall Islands and stated that the vessel had been hauling sulfuric acid and the smoke had killed one and all. While there was an inquiry carried out; before the deserted ship could be towed to the nearest port, it had set ablaze making it improbable for the investigators to find what had really happened. So the mystery continues to revolve around the abandoned ship with stories of mystic activities and alien attack. The Bermuda Triangle has always held more and more mystery within yet. This peculiar paranormal power of the Bermuda triangle might be the reason behind the death of the crew of Carroll A. Deering. At the time of coming back to Maine from Rio de Janeiro in 1921, the S.S. Carroll A. Deering inexplicably ran ashore and the vessel was spotted off Cape Lookout Lightship, NC. The people onboard the ship had communicated at that point in time with the captain of another ship to commune to the Deering Company that all the anchors of Deering were nowhere to be found. When spotted two days afterward, the craft was run hard onto dry land with the sails put in place and all the lifeboat cables hanging on to the ship’s side. No person of the ship was ever located and there was no official explanation provided by the American government, even though there were six departments’ that investigated the vessel. Nevertheless, they did mull over the foul play by the Communist Pirates who were set on capturing American ships. Exploration showed some other boats had also vanished in baffling conditions about the same time that might be pirate’s act, crew’s revolt or otherworldly goings-on in the wicked Bermuda triangle. Exploration showed some other boats had also vanished in baffling conditions about the same time that might be pirate’s act, crew’s revolt or otherworldly goings-on in the wicked Devil’s Triangle. The SS Baychimo was no alien to cruel circumstances of other abandoned ships that included freeing itself from a pack ice and waiting out the winter in wooden shelters. Later on, when a snowstorm struck, the craft was soon after found to gone astray and assumed to be sunken. But three days later, the ship did turn up 45 miles away. The crew packed up the load and deserted the carrier, thinking it would not continue to exist in the winter, but again the vessel did not go underwater. In the subsequent decades, The Baychimo was reported to be sighted all around the shoreline, and that few people even entered the boat. It was seemed to be drifting around aimlessly for 38 years in the Alaskan waters. In 1969 it was finally seen wedged in ice off the coast of Alaska. No one knows if it did finally sink. Maybe the ship will turn up once more. 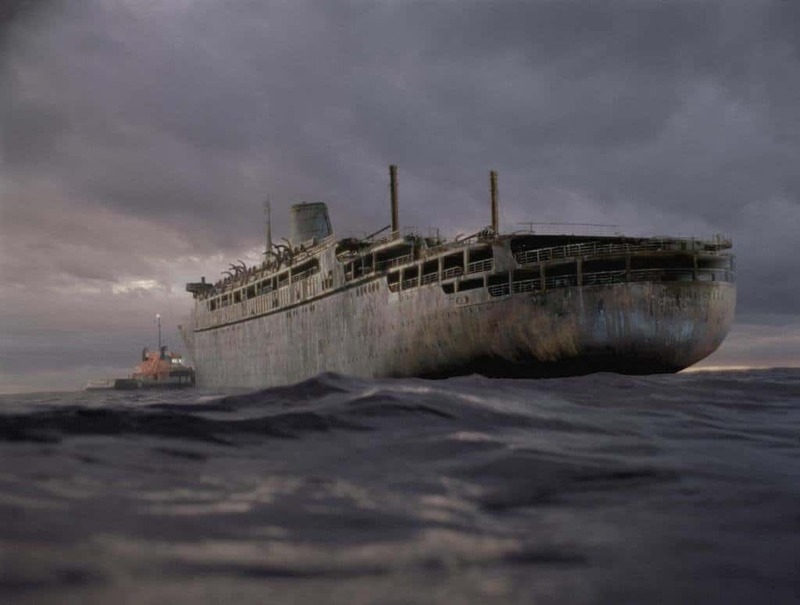 There is so much glory for an unsinkable ship, but there were people onboard who were there one day and were gone the next day, and that happened in the MV Joyita, one of the abandoned ships. Though the ship was unsinkable, it was not resistant to further problems and till date remains the biggest mystery of the sea when it disappeared in 1955 and later none of the crew members were found. 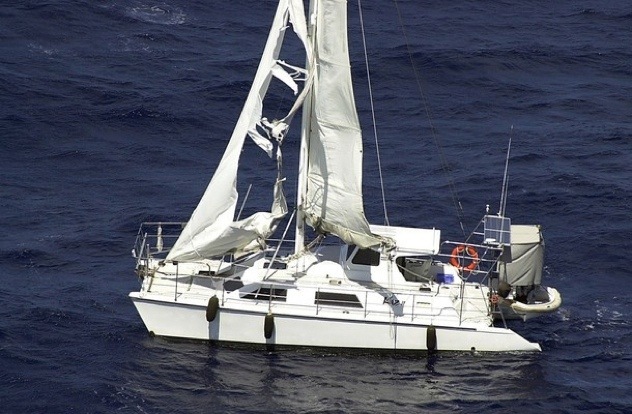 The vessel was later found adrift 600 miles off the course not only with the missing crew but also tons of consignment. Aboard the ship was a doctor’s container and quite a lot of blood-soaked bandages on the deck and the radio was tuned to the global distress indicator. But what actually happened on the ship was never discovered. No matter what had happened there is one thing definite that not a hint of the crew was ever seen or heard again. The Jian Seng has an unrealistic story of mounds of rice on board but with no human presence. This vessel was spotted adrift in the unfamiliar waters close to Queensland in Australia. But when officials boarded the carrier and investigated they could not find a shred of evidence of any recent human activity at all. No papers or identifying information were present on the ship to help categorize it. The ship was in a pathetic condition with a repaired engine and electronics unavailable. The ship had been stripped completely; its name and recognizable features were painted over. The only thing aboard the ship was a huge amount of rice. No one ever claimed the ship and the proprietors were never identified despite all the efforts put in by the officials. It was provided the name Jian Seng by the Australian maritime authorities and deliberately sunk it due to its poor condition. Up to this day, no one is aware of where the vessel came from or what happened aboard it. In 2007, three men went out on a voyage through the length of the Australia coast. After three days, their vessel appeared floating in the course of the Great Barrier Reef with everything flawlessly in place. Everything that is, apart from the men themselves, who were not there. The table was laid out with food, an open laptop that was still turned on, life jackets hung tidily on the hooks and every one of the ship’s crisis systems was completely efficient. Also, the engine was still up and running. All this seemed to be very strange and added Kaz II to the list of abandoned ships. There were two possible theories that were proposed by the forensic team. The three crew members started to unravel a fishing line and fell overboard one after the other. Whilst their doom had never been strongly discovered, it is mostly assumed that one member fell overboard and the remaining two friends had jumped over with no life jackets in an effort to save their friend. But not a soul knows for sure what exactly happened. Found deserted on the coast of Sardinia, The Bel Amica was thought by many to be a “ghost ship”. The vessel had the Luxembourg Flag, a wooden sign with the name etched as ‘Bel Amica’, piles of clothes, maps of seas in North Africa, plates laden with Egyptian food was found on the board, but no crew or any signs of human activity. The craft had on no account been seen nor had any records been discovered that the vessel had visited Italy previously. Also, the establishment found out the ship had not at all been registered in any nation. Due to all these confusions, the public interest had peaked around this case. In the beginning, it was thought to be an old-fashioned boat due to its style, it was later on discovered to be a cruiser owned by a man from Luxembourg supposedly mixed up in tax evasion. Precisely who was on board the vessel when it had set sail, and what happened to all of them, has never been found out till date. 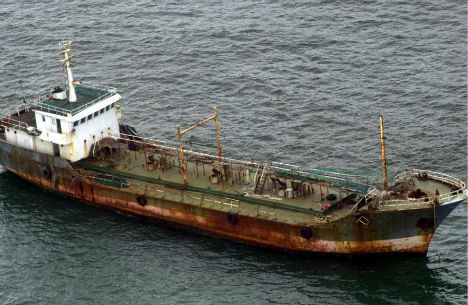 The High Aim 6 was a Taiwanese vessel that was found adrift the coast of Australia in 2003 with strange stories of rotting fish, mutiny and murder surrounding it. There was no sign of any struggle, no mayday signals had been sent from the ship and the crew was missing but their individual possessions, plenty of provisions and fuel were available onboard and strangely a barrier filled with stinky seafood. An enormous stretch of 7,300 nautical miles of the sea was investigated in a proposition to discover the crew members and an in-depth forensic investigation was done but failed to reach any conclusion on what happened to the crew. But 10 days subsequent to the ship’s discovery, calls were yet being made from Indonesia on the mobile phone of the boat’s missing engineer. Only one member of the crew was ever tracked down and he admitted that the engineer and the captain were murdered as an act of rebellion and everyone part of the crew decided to head back to their homes. The reason for the mutiny has never been comprehensible, and the crew member was not able to give details on how they reached home or why every possession was left behind. In all probability, the most famed real-life abandoned ship story is that of The Mary Celeste, which was discovered in 1872 floating along the Atlantic Ocean in an absolutely untouched state with every one of its sails still up, the crew’s individual possessions undamaged and a freight holding more than 1500 alcohol barrels intact. The things that were absent were the captain’s logbook, the lifeboat, and most prominently, the complete crew. When recounting this discovery of the actually deserted Mary Celeste, vocabulary like “spooky” and “troubling” simply don’t explain it. All sensible theories from piracy to storms had been ruled out and more shocking explanations of sea monsters and alien attacks had risen. Thus the tale of The Mary Celeste remains one of the biggest sea mysteries surrounding abandoned ships in the past 100 years. 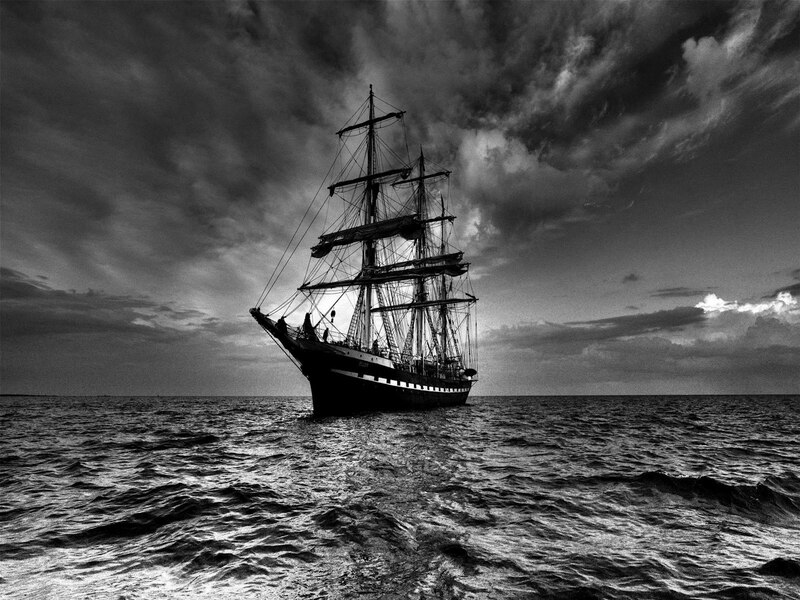 So these are the stories about The 10 Most Mysteriously Abandoned Ships At Sea. Do let us know your opinion about these creepy ships through the comments section below.